Cubeb Pepper Whole 1 OZ. 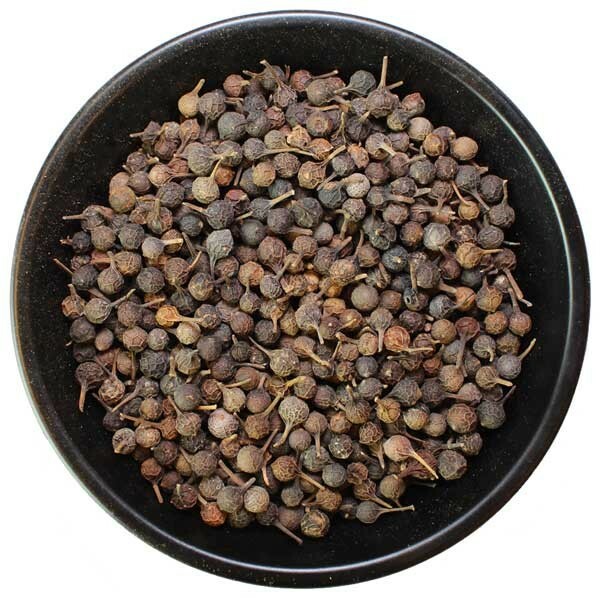 Cubeb pepper is described as a cross between black pepper and allspice in flavor. Cubeb pepper is related to the pepper plant. It has a bitter, pungent, and peppery flavor. It is described as a cross between black pepper and allspice. A certain "blue crystal" gin uses cubeb and paradise seeds as their botanicals. Use up to 1oz per 5 gallons in the last 10-15 minutes of the boil. Black Tellicherry Peppercorns 1 OZ.